(MP250). Commander Eric Tufnell RN (1888-1979). 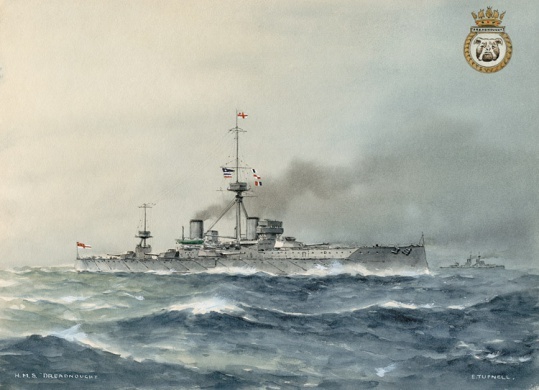 Watercolour signed and inscribed HMS DREADNOUGHT and with ship's crest inscribed at top right..